Max Verstappen believes Daniel Ricciardo will ultimately rue leaving Red Bull more than the team will count the cost of losing the Australian to Renault. Ricciardo has departed Red Bull after 10 years under the team's tutelage, and has admitted that his move to Renault could drop him down the grid in the short-term. Although Red Bull have made confident noises about a switch to Honda power units keeping them in title contention next year, Renault have put more understated predictions out publicly, regularly speaking about winning races in 2020 before trying for the title the following year. That made Ricciardo's decision all the more surprising, as he had stated at the start of 2018 that his intention in the final year of his Red Bull deal was to emerge in the strongest car possible for the following season. 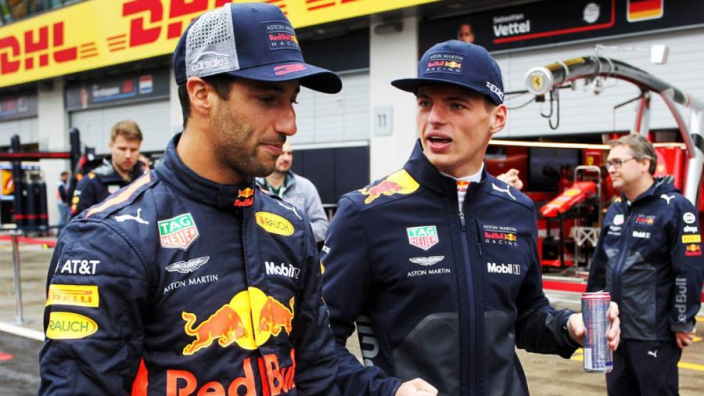 Having seemingly gone against that, Verstappen suggested that Ricciardo could live to regret is decision when asked if he would miss working with the Australian as his teammate. "I will not miss it personally," Verstappen told AD. "It was fun and pleasant to have him as a teammate. It is not often that you have such a good relationship with someone. Maybe it will never happen again, indeed. "But miss him…? I think that Daniel is going to miss what he had here." Pierre Gasly will step up from Toro Rosso to partner Verstappen at Red Bull in 2019. MORE: Verstappen: If only my teammate was as slow as Bottas!